While I’ve had many wonderful experiences at different restaurants, Grovewood Tavern in Cleveland, OH, was the first spot I decided to highlight in this blog. 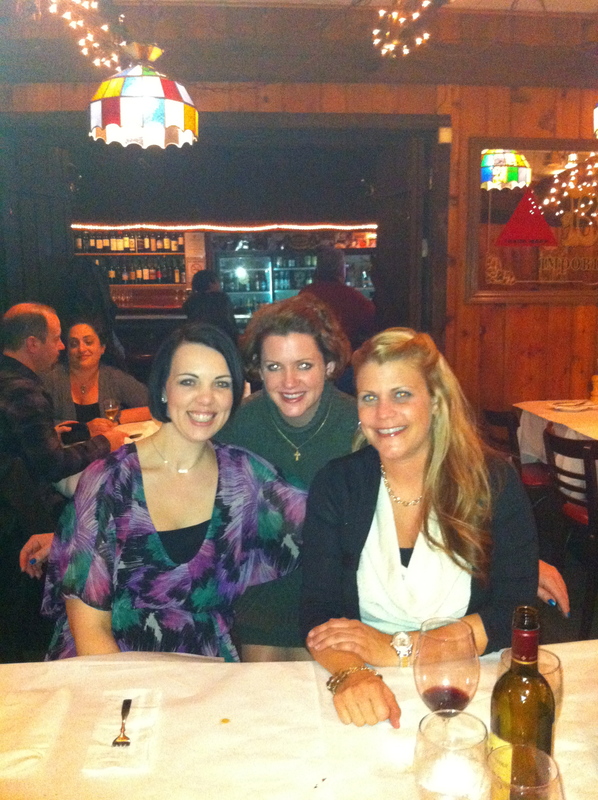 Grovewood (www.grovewoodtavern.com) is a quaint place – so quaint that you pass by the kitchen as you enter the joint! And, it has great food! Definitely worth a visit when you’re in Cleveland. Last weekend, I went to Grovewood with a couple of friends, and pulled my usual stunt…Anna, our (delightful – Jager-loving/hating) server, was tasked with ordering my entire meal – soup to nuts. She was immediately up for the challenge, though she showed a little hesitancy as the evening progressed. No need…she did a great job! 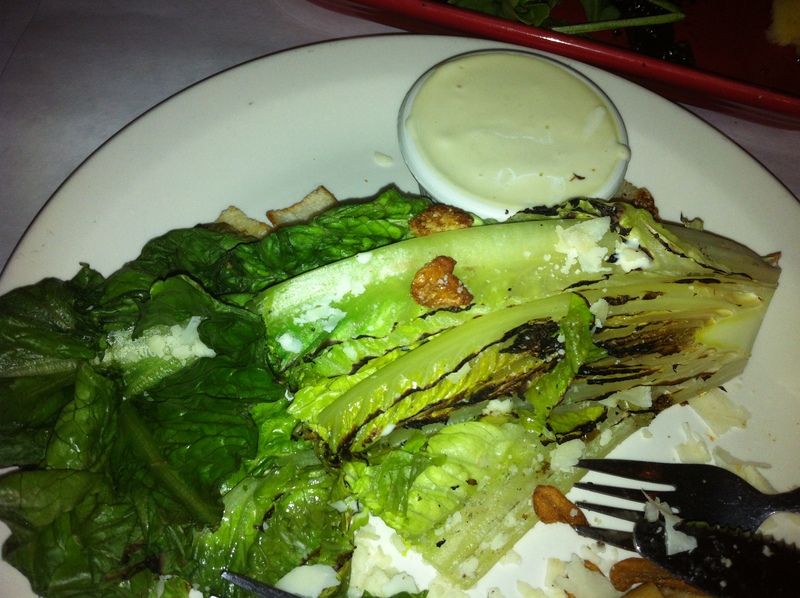 I was started with a grilled Caesar salad. Excellent choice! 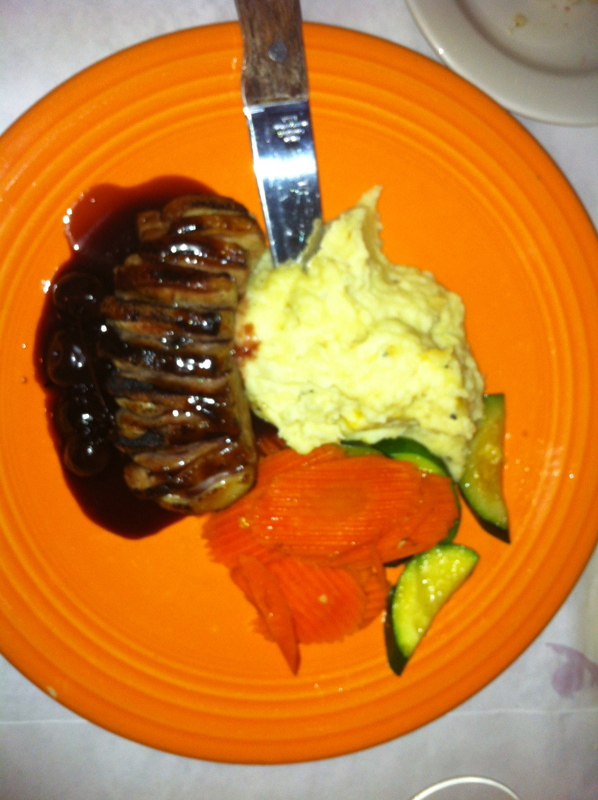 Then, the Cherry Duck with garlic mashed potatoes and mixed veggies – again, YUM! And, it’s a dish I would not likely have ordered on my own – so many other great options…cherry duck wouldn’t likely have bubbled up to the top! 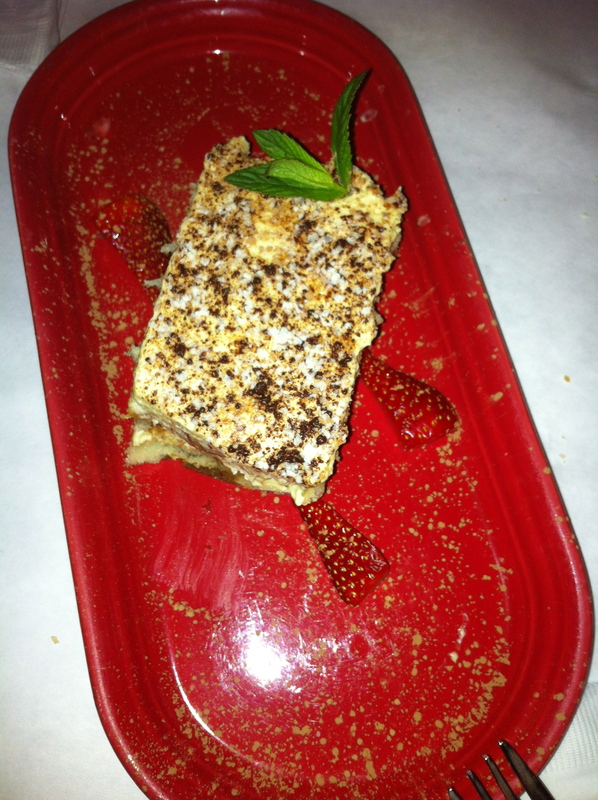 Finally, my friend and I split what I deem to be the best Tiramisu I’ve had in years (possibly ever!). I LOVE duck. That sounded good. Thanks, Ant. It’s been really fun for the past several years. And, I have to agree…duck is amazing! Look forward to many more food FKC adventures :-D. By the way, I love (peking) duck! Let me know if you try this “surprise me” method of ordering sometime. I’d love to know how it turns out for you! I love this! I can’t wait to try this when I’m in CA! a few simple tweeks would really make my blog jump out. Please let me know where you got your design. Thanks for the compliment. I used a free theme and customized it a bit. There are some great free themes available in WordPress! cann’t consider simply how much time I had spent for this information! Thank you!